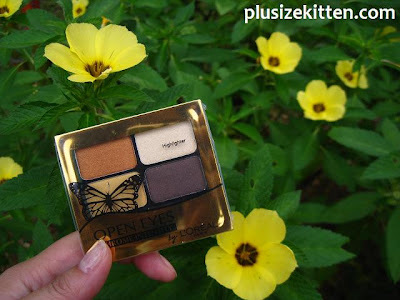 butterfly butterfly~ I have the latest e/s palette from L'Oreal! Yes yes I must be really late in getting this! I didn't know what colors to choose from, wanted to try something different more gold-ish or bronze-ish so I choose the Magic Amber palette from the L'Oreal Paris's latest eyeshadow palette "Open Eyes Chrome Intensity". This reminds me of Jenny, whom I met last year at Stila Cosmetic counter in Parkson KLCC. She loves eyeshadow colors in bronzes, gold-ish chrome-ish colors. I thought maybe there's something I am missing out on here? I never try these colors before. Why not adventure sikit kan? before I "use" my eyeshadow palette, I like to do a "photo-shooting" session first. Feels I can preserve my cosmetics longer when they're captured in photographs. the swatches! arghh finally touched my palette already! The Addictive Yellow and Magic Amber is Chrome-ish indeed! now I know why it's call Chrome Intensity. 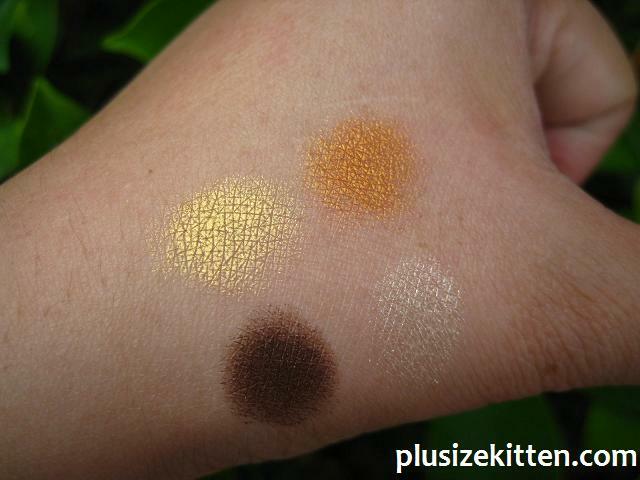 From the palette u'd think they won't be so reflective in colors, but upon swatching it, the colors shows! see! addictive yellow so glow-y. Must be nice trying to make an EOTD using these colors and matching with the butterfly like the ones here, called the Monarch Butterflies. 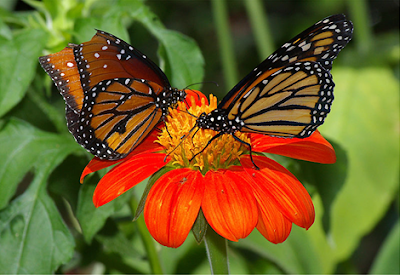 Magic Amber = Monarch Butterflies? L’Oréal Paris Open Eyes Chrome Intensity are priced at RM 33.90 and RM 45.90 each. Get your intensive colors from all L’Oréal Paris. 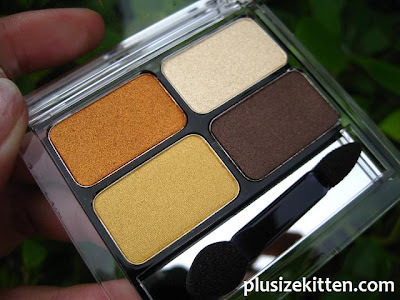 Ohhh i LOVE LOVE LOVE Loreal eye shadows palette! I ada yang 'Star' something palette tu. Ahh must have this Chrome Intensity. But like u, don't know what color to buy. buy semua! ahha... no no.. hmm coz other colors i have oledi, so i am going to try something else :D macam rama-rama je... no wonder got rama rama on their palette. Star something? which color tu? ada purple one? Yeah got purple one but mine brown/earth tones. In fact, almost all my eye shadows are brown/earth colors. And this one, brown also. Haha. reena: eh.. hmm i thought magic amber is the only brownish palette for this collection. Just now i try, brownish after blending with yellow kinda..look very natural smoky look. I was thinking of dramatic look tak jadi..aih... need to practice more. I wanna create butterfly out!! wuwuuw..
Ken: HAHHAHAHA... but not same colors! CathJ: me too.. ngek ngek..